Here we go again! 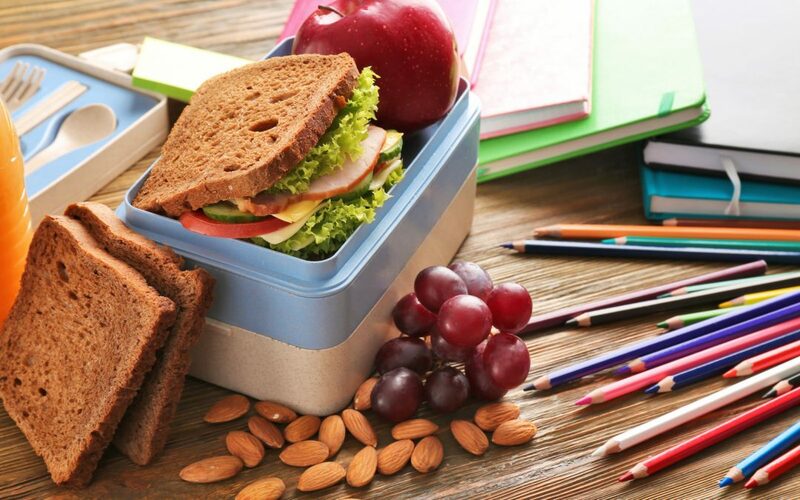 The long, hot, lazy days of summer are coming to an end, and that means back to class, routine, crazy schedules, sports, carpool, and…packing countless lunches and snacks for school. 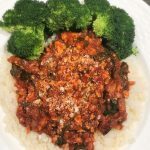 I must admit that I did NOT miss this prep work these couple of weeks that my kids were not in camp and school, so I can imagine many of you feel the same AND don’t always know what to give your kids to eat. 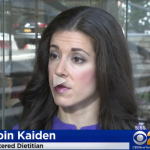 Read on for some of my tips and tricks, as a Registered Dietitian AND busy working Mom of two young boys. 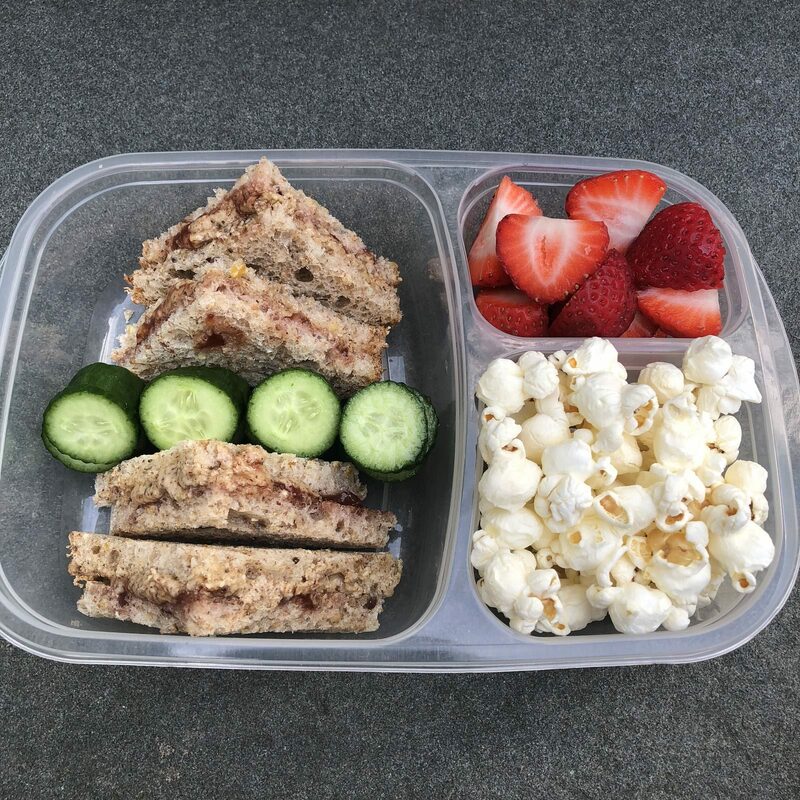 Whether you take the kids grocery shopping with you, allow them to assist in making their own school lunch, offer choices, or include items you baked together, they will feel empowered and maybe even excited about what’s in their lunch box. By taking my 6-year-old son with me to the deli counter in Whole Foods, we learned that he really enjoys turkey pastrami. He (sometimes) likes helping me put popcorn in a Ziploc bag for lunch or picking out his snacks. The kids love baking (healthy!) cookies and muffins and telling their friends about it when they eat them at lunch. Even just asking my 4-year-old if he wants a banana or apple in his lunch makes him happy that he had a say in the matter. Protein-helps keep little tummies full and kids grow strong. Carbohydrates-great for energy and crunch is good for concentration. 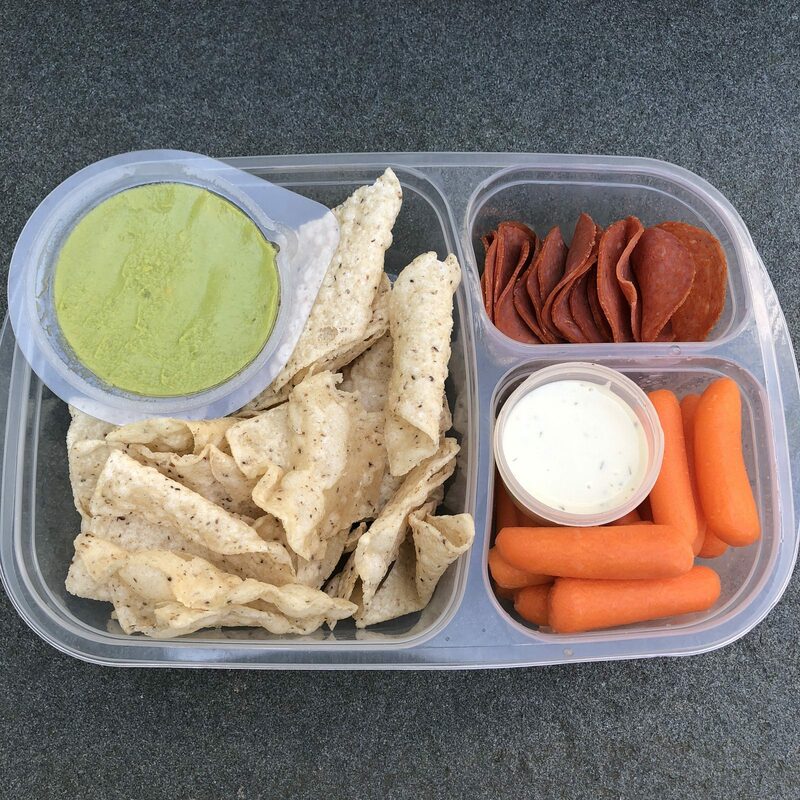 Easy lunches are the simplest for Moms (or caretakers) to make, and kids feel confident eating (mostly) familiar foods. 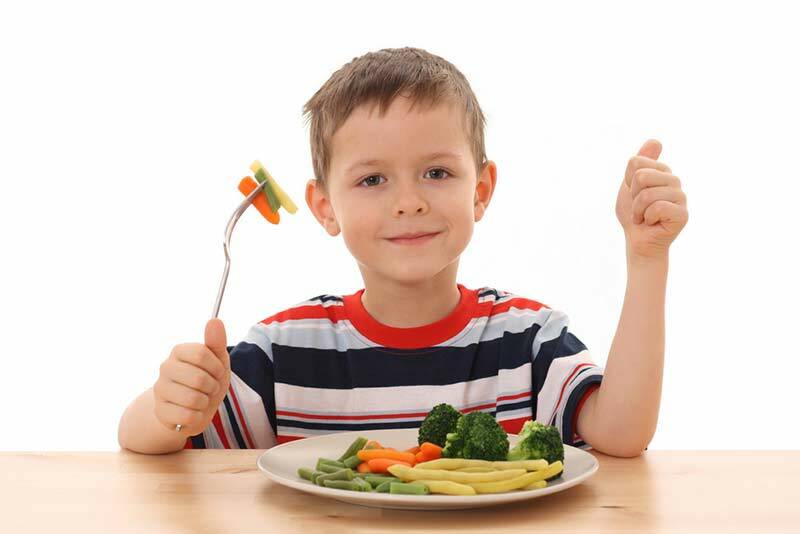 Bite-size, or cut up foods are just easier for little fingers to hold, or eat with a fork. 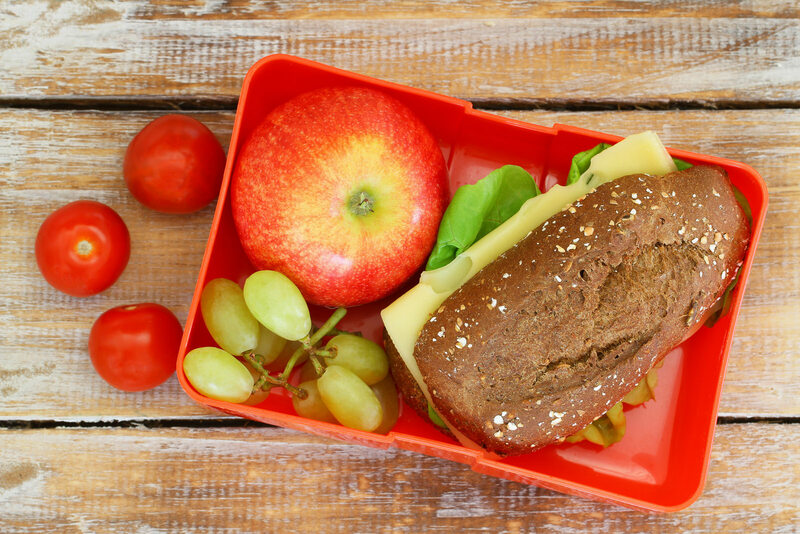 Most kids have limited time for lunch periods, so the easier to eat the better: smaller pieces and easy-open containers are helpful! Making lunch colorful with fruits and veggies makes it more appealing. If a cute smiley face made out of raisins or even chocolate chips and M&M’s will help, then go for it! Familiarity breeds liking: it can take up to 50+ exposures (seeing, licking, tasting, biting) to new or different foods for a child to actually accept and eat it. Definitely, include foods that you know your child to eat. You DO want to keep their bodies and brains fueled for the busy school day. But, you can also add foods that they sometimes or never eat: when they are hungry and that’s all that’s in front of them they may just (surprisingly) eat AND enjoy it! 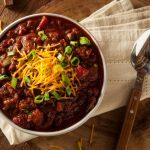 When cooking dinner (pasta, pizza, vegetables, chicken, burgers), make extra: thermoses and other containers can keep this food warm for lunch OR kids may even enjoy some of it cold. This also saves Moms times when making lunch. Let your kids select and get excited about their lunchbox or bag. Include a note or a sticker to add a little more fun. Try new and different containers. I found these, which are PERFECT for dressings, hummus, sauces, etc. The containers in the lunch photos are similar to these. None of these above containers are perfect or magic. I use a combination of these and Ziploc bags depending on the day, what’s clean, available and easiest at the time. Find which works best for you and your kids! 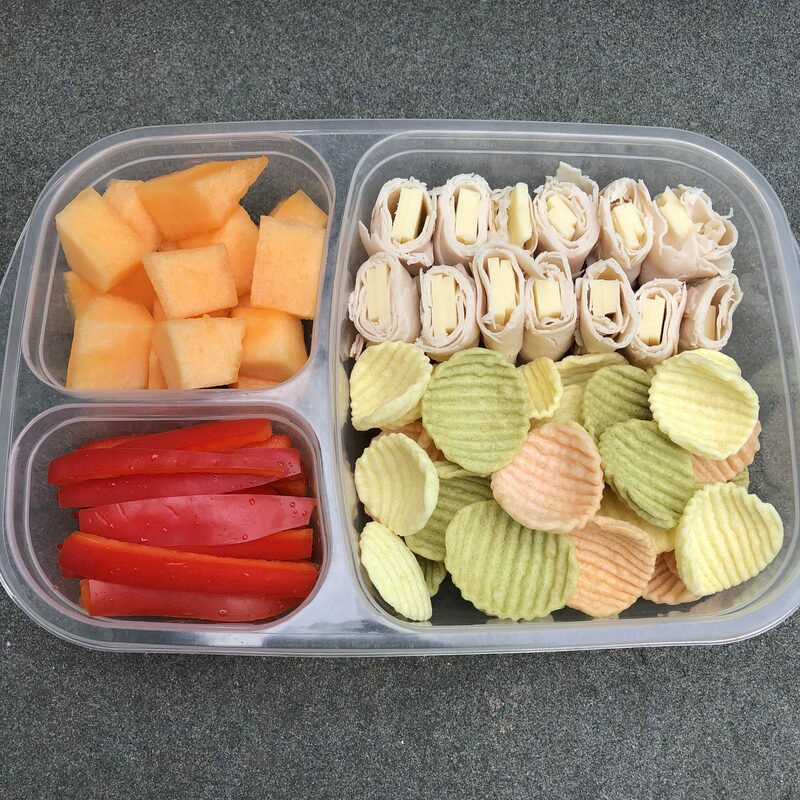 Below are FIVE different ideas for lunches. 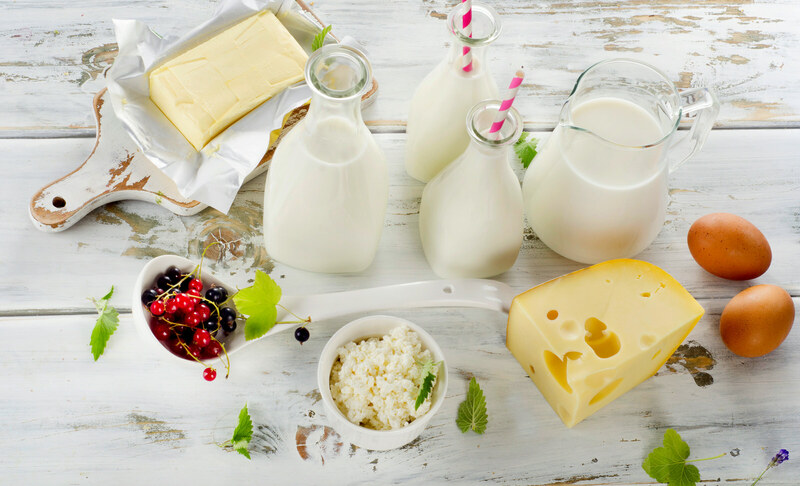 Feel free to mix and match and swap in your kids’ favorite foods. These are just suggestions, and may not work for all kids, but hopefully will spark some lunch creativity in your house! Choose any nut (or seed) butter that is made ONLY from the nut and maybe salt. 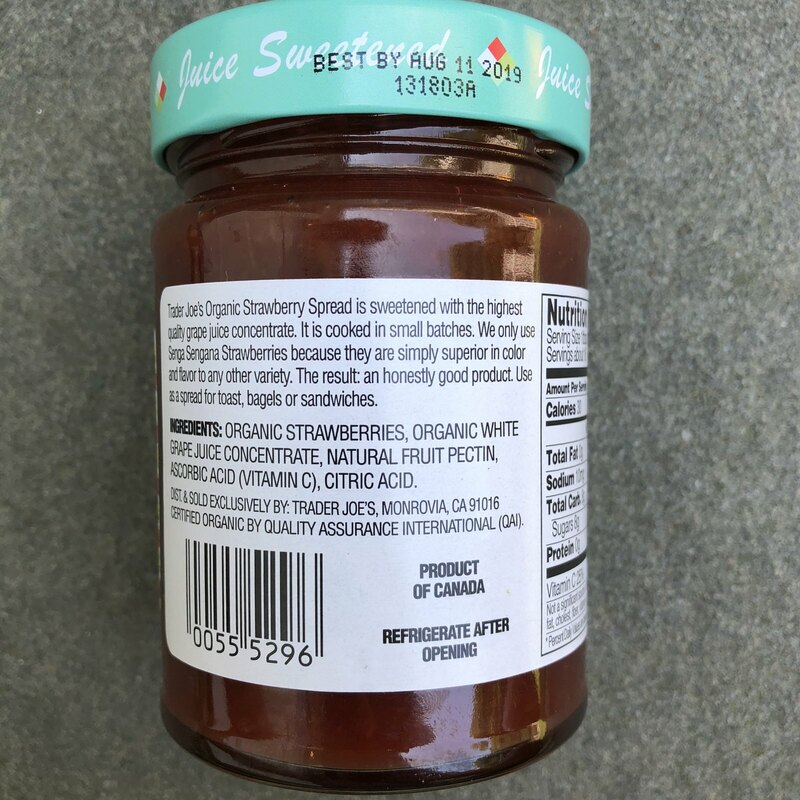 There should be no added oils, sugars, or additional ingredients. Select a jelly that has no added sugar. Fruit juice is so sweet on its own. 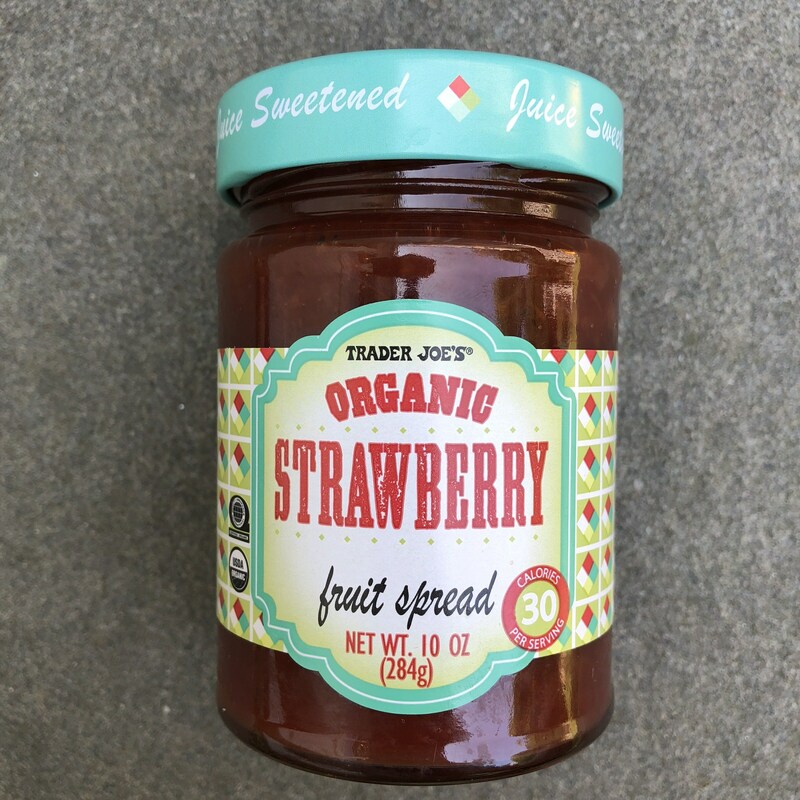 Try this one from Trader Joe’s. I also like the brands: St. Dalfour and Polaner All Fruit. Try selecting air-popped popcorn that is homemade or made with ONLY olive oil or coconut oil and a pinch of salt. 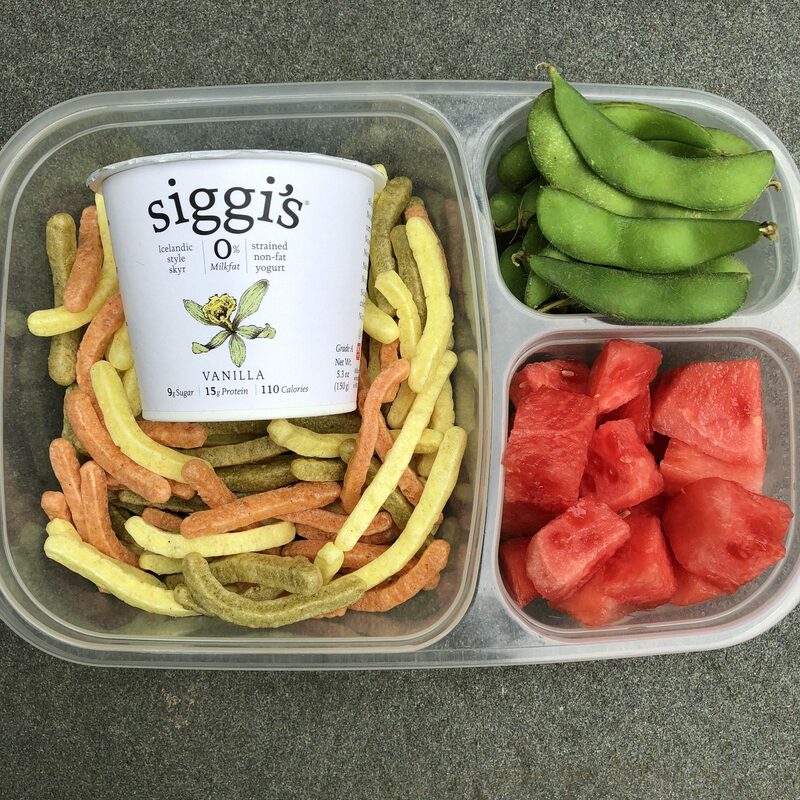 These grain-free Siete chips are made with cassava flour, coconut flour, avocado oil, and chia. Not only are they healthy, they are delicious and a great alternative to regular corn chips. The organic guacamole single packs are made by Wholly Guacamole. This is Applegate Farms turkey pepperoni made without added nitrates. 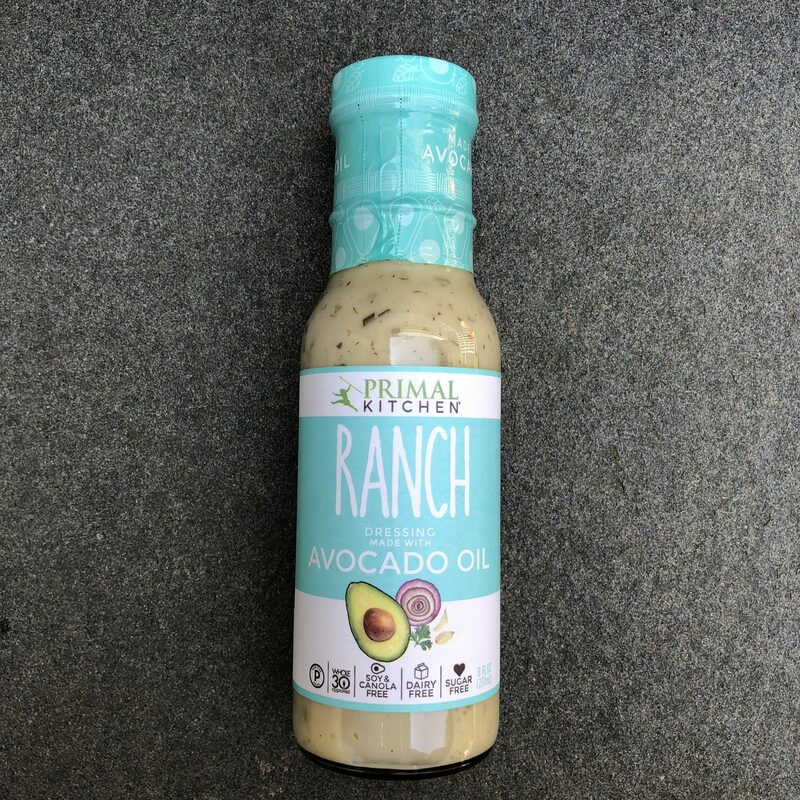 I use Primal Kitchen ranch dressing made with avocado oil. For the younger kids, I recommend slicing the carrots into thinner strips so they are easier to eat. 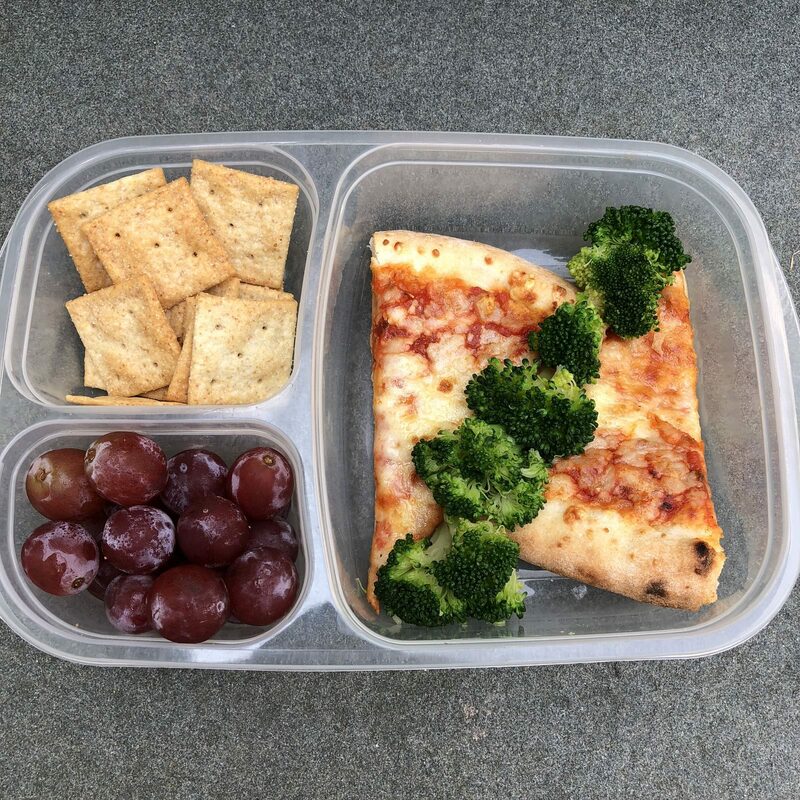 Pizza, steamed broccoli, red grapes, Simple Mills almond flour crackers. Simple Mills makes single packs of their plain and cheddar crackers, which are great healthy, gluten-free alternatives for traditional Wheat Thins or Cheeze-Its. This is organic honey-roasted turkey breast and organic cheddar cheese slices from Whole Foods. 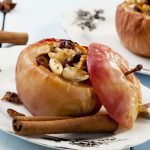 You can try other types of turkey (pepper, smoked, pastrami, etc.) and chesses to switch it up. Or try cucumbers or peppers in the roll up. I use either the 365 Whole Foods brand or Good Health Veggie Chips. I love this yogurt because it’s thick and great for dipping, high in protein with 15 grams per cup and low in sugar. 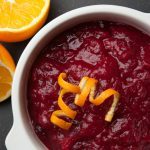 My kids like to use these Veggie Stix (Whole Foods or Good Health) to dip in the yogurt. I keep frozen edamame in the freezer. 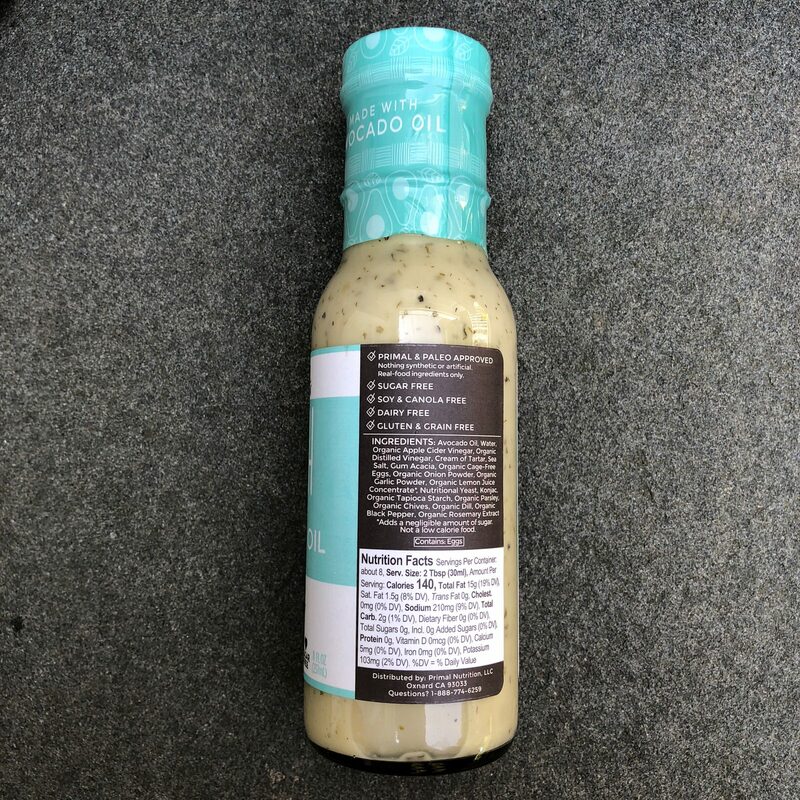 Both shelled and in the pod versions are available at Trader Joe’s, Whole Foods and most other markets. HAVE A HAPPY, HEALTHY START TO YOUR SCHOOL YEAR!! All my best to you and your families! ****For additional individual or family Nutrition Counseling, contact me via the phone number or email address below. 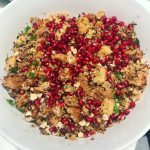 Check out my website and social media for additional recipes and ideas! ****None of these recommendations or products are sponsored. They are simply items that I like and use for my kids and clients. It’s September and that means back-to-school for the kids! Healthy balanced meals and snacks are important to fuel their brains and bodies for growth, studying, homework, and activities. from home for fun and recreation, just like with the jumpers from Jumper’s Jungle Family Fun Center, which you can rent to have in your house for an special event or a party, you can use it for exercising for your kids if they are having problems controlling their nutrition and exercise routine if over weight, and with this dynamic tool they will love it, exercise and have lots of fun.